Tom Jensen is a shareholder with Lind, Jensen, Sullivan & Peterson, P.A. Tom has tried well over 100 civil cases to juries in Minnesota, North Dakota and Wisconsin, and now uses state-of-the-art courtroom graphics and video evidence presentation software to drive client advocacy at trial. He represents clients in professional liability cases (and board discipline matters), products liability/toxic tort cases, insurance coverage declaratory judgment actions, personal injury, wrongful death and property damage litigation, environmental law, and commercial litigation. 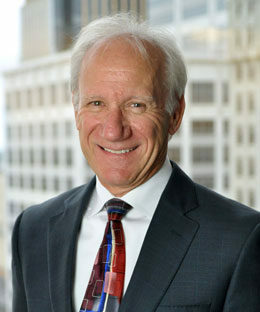 Tom’s wide experience and counsel relationships in Minnesota trigger appointments as mediator in complex civil disputes requiring voluntary resolution efforts. He has also led trial lawyer associations and the Minneapolis-area bar association in support of access to justice for all Minnesotans.